Reading is a form of mental exercise, but other than that, it’s also a required activity for students every now and then. From reviewing one’s lessons to doing some research, reading various resources is a must. Apart from the original resource materials used in regular classes, it’s also the responsibility of a student to read other materials found online and in libraries. There are times however when accessing school and public libraries is not possible. This is where mobile apps come in handy. Once installed on your device, you can get access to tons of virtual books and read them even while riding in a cab or enjoying your lunch out of the campus. One of the major advantages of the said apps aside from portability is the speed. 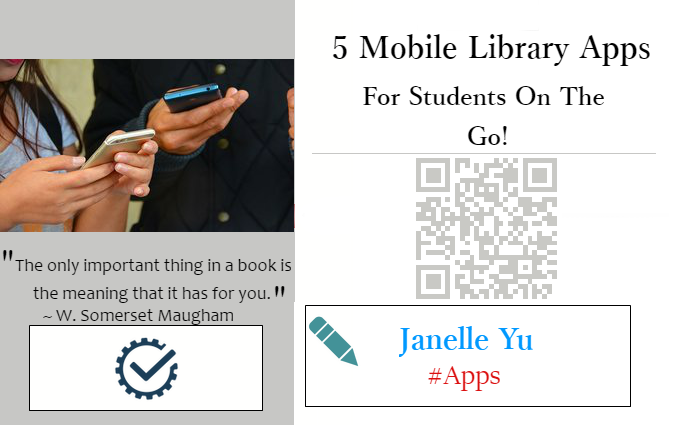 Compared to real libraries where you need to find the books manually, these apps do the job for you in a fraction of the time you spend when doing it yourself. They make searching through categories easier and allow users to bookmark or add the best books to their favorites list for future reference. Getting one for yourself, whether it’s for studying or relaxation will help a lot in saving time and cataloguing the works you like best. Today, we have compiled five of the most popular ones with the widest range of reading collection for you to explore. As of this writing, Kindle is considered as the most popular e-reading app for those who are interested to bring their reading resources straight in their pockets. It boasts a collection of over four million books across different categories. Aside from the works created by popular authors, it also houses exclusive reading items found in Amazon. This can be attributed to the fact that the app is created by the online shop. Books which you have purchased from Amazon will be readily available for your reading in this platform. If you are looking for a chance to enjoy a good story, learn new concepts or review certain chapters on a particular book but don’t have the luxury to read, then this app is a practical solution. It’s an audio version that lets you listen to a resource’s content anywhere. It’s perfect when you are stuck in traffic, tired of reading and even while cramming for an upcoming exam. Sit back, relax and learn things while listening! For those who are fond of building their own virtual library, this app might just prove to be an important part of your must-haves list. It allows bookmarking and highlighting, making it easier for you to keep tabs of the most important details you’ve read. It’s collection isn’t that wide and most of it are focused on the classics. If you’re more into a classical feature like the popular stories of Sherlock Holmes and Dracula, then getting this on board your mobile matters. This reader allows you to get access to EPUB and TXT file formats. Download feature is also supported as well as translate function. This means that if you have some materials stored in places like Dropbox or SkyDrive and want to transfer to mobile, this app can help you do that. This app is widely used by Canadian residents as it was created there. However, anyone can use its wide selection of books on its library. Kobo is considered as second to Kindle when it comes to the number of items stored in its database. There is still no substitute when it comes to visiting an actual library every now and then. However, on times when you lack time and effort to drop by one or look for the particular book you wish to read, having a mobile companion is very convenient. Apple Store and Google Play Store now have a huge array of app collections that allows you to get access to the e-book versions of some of the most in demand works. Try out the apps on the list and see what works for you. Some of them have similar features so getting a grip of their user experience quality will tell you which choice works better for your preference. Don’t miss the hottest and latest book collection and bring your own mobile library in your pockets! You’ve put together a wonderful infographic. We’ve planned on reaching out to you once this new article was published, to let you know of the mention. But, it appears you’ve contacted us instead with lightening speed. How did you find us? Janelle Yu has great passion in writing various content topics especially about web design, digital marketing and technology. She also loves to travel and taking photos. Visit her Website and follow her on Google+.